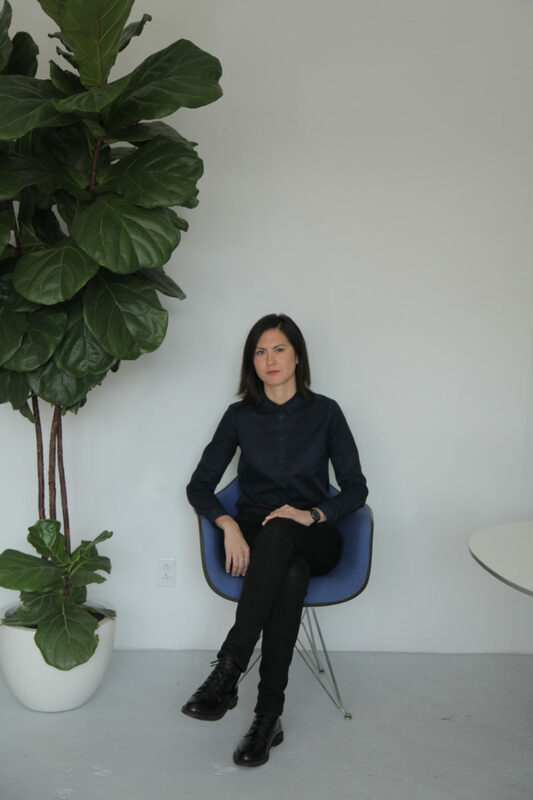 Tei Carpenter is an architectural designer, educator and founder of New York City-based design studio Agency—Agency. 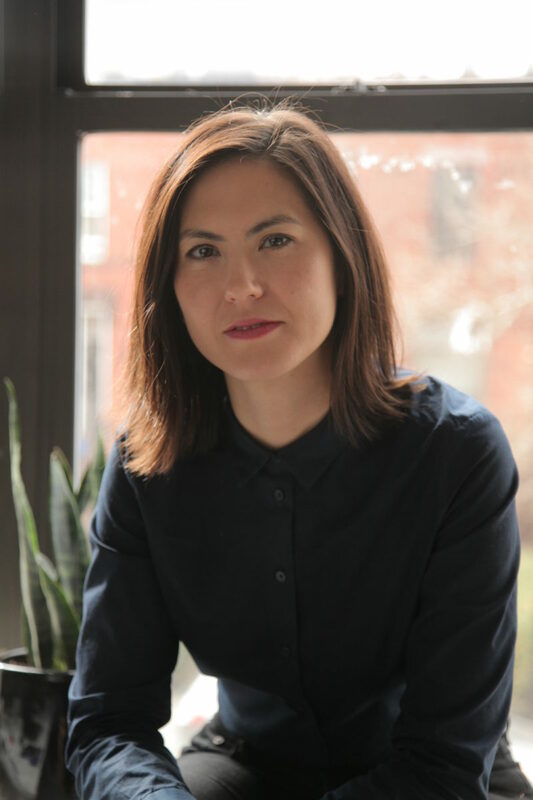 She teaches at Columbia University’s Graduate School of Architecture, Planning and Preservation where she directs the Waste Initiative, an applied research and design platform. Her diverse practice, Agency—Agency, seeks out an expanded role for architecture by engaging buildings, objects, interiors, infrastructures, speculations, and environments. The studio’s recently completed work includes a new Big Brothers Big Sisters headquarters in downtown Houston and a commission by BMW Mini for the A/D/O Water Futures research programme to address the global drinking water crisis. Something Curated met with Carpenter at her Brooklyn studio to learn more. Something Curated: Can you tell us a little bit about your background—how did you get into this field? Tei Carpenter: I grew up around architecture because my mother is an architect and my father is an artist who works at an architectural scale, but I never really thought I would go into architecture. I studied at a liberal arts university and then worked for a while in the art world and in photography before realizing that I wanted to pursue architecture. For me, it’s a field that satisfies and brings together many interests simultaneously—politics, the environment, aesthetics, and thinking about ways we might live in the future. 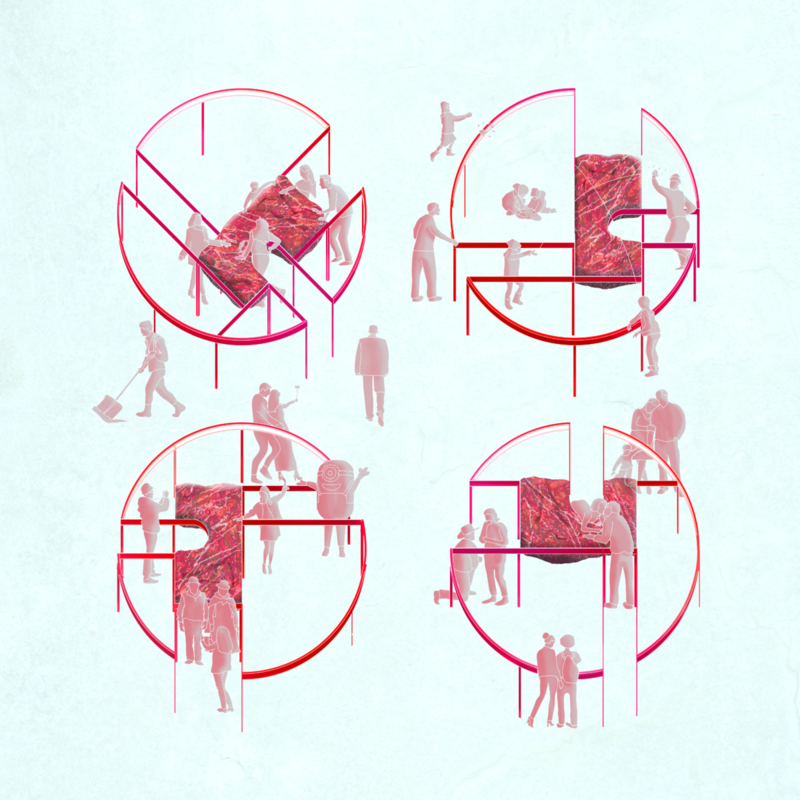 SC: How do you think your education in philosophy helped shape you as an architect? TC: My concentration in philosophy focused on logic and I think this background gave me a framework for critical thinking and how to approach research and design from a broader perspective and also how to approach problems through the formation of arguments. SC: How would you describe the ethos of your practice? TC: The ethos of the practice doesn’t try to be singular, but works between and across scales and categories. For example over this past year, we’ve been working on designing exhibitions, infrastructures and environments. I think that it goes back to my mixed race identity with a Japanese mother and Caucasian father and also my liberal arts background, on the one hand existing and going back and forth between two different cultures and on the other hand, being educated within a multidisciplinary context. I would say that a thread that connects some of the work and values of the practice deal with experimentation, engagement, the environment and resource consciousness. SC: Can you tell us a little bit about your designs for the A/D/O Water Futures Design Challenge? TC: It was a lot of fun working on the New Public Hydrant project with my collaborator Chris Woebken. 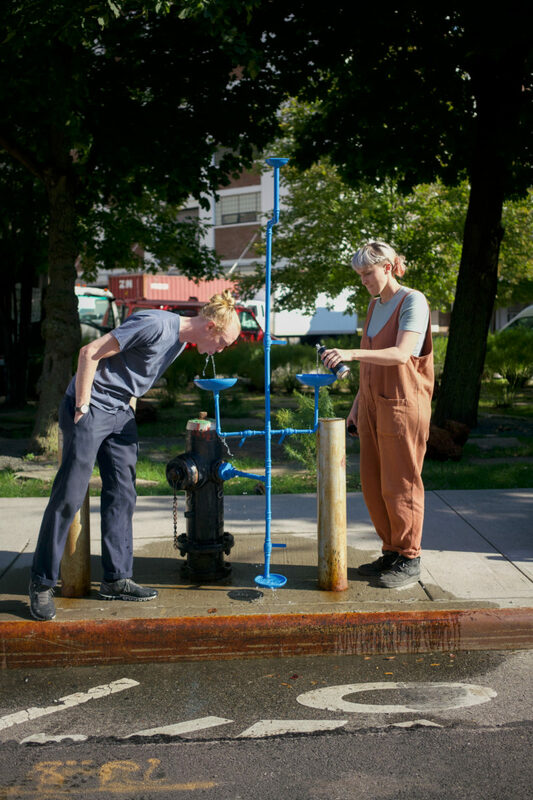 We developed a series of three prototypes that engaged with the New York City fire hydrant to inspire surprising new forms of public interaction and alternative imaginations surrounding the city’s emergency infrastructure and its excellent drinking water supply. Each of the prototypes highlights a different way—whether bottle fill, immersive sprinkler, or multi-species fountain—to access the high quality drinking water that notably can come from fire hydrants in New York City. SC: What has been your favourite project to date? TC: That’s a hard question! I think about each of the projects that I’ve worked on so far in such different ways. A recent project that I really enjoyed was the exhibition design for Model Projections, a show curated by Irene Sunwoo, Jennifer Gray and Tiffany Lambert at the Arthur Ross Architecture Gallery at Columbia University that looked at the practice of architectural model making in the post-war era as a site of experimentation and innovation. We developed a design that aimed to evoke an architectural work in progress, which could oscillate between multiple scales and register the artifice of model-making through off the shelf materials used for display such as studs and drywall fragments. 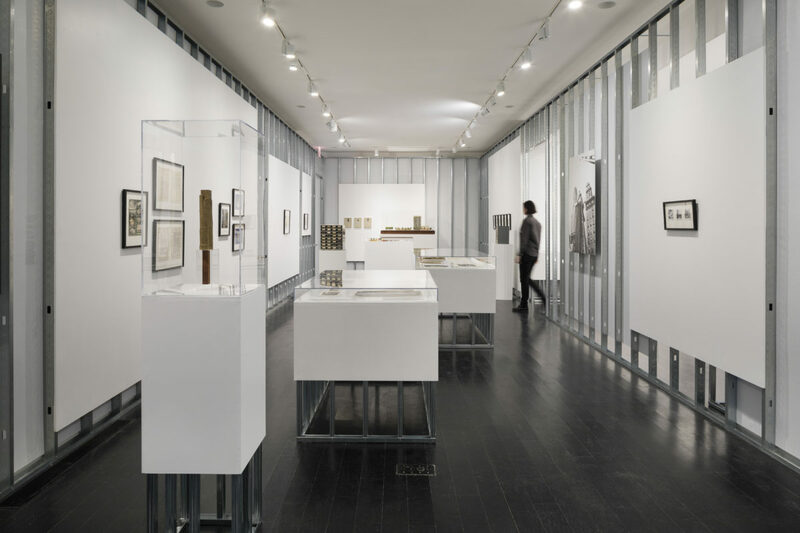 The project was really interesting and an all-around collaborative effort between the curators, myself, the Avery Archive, Columbia GSAPP’s Fabrication Lab and also the student team who worked on the exhibition’s fabrication. SC: Can you speak about any upcoming projects you have in the works? TC: I have a bunch of projects in the works, a few of which are in their early phases so I can’t say too much. To name a couple: a residential project in Utah, one in New England, and two research projects, one that deals with plastic waste in New York City and the other one that is a collaborative project about utopia and intentional communities. SC: Is there any kind of system you’ve developed for approaching a new brief, or does it tend to be very organic? TC: I think every brief calls for a slightly different approach, but in a lot of my work I try to locate underlying systems or processes that underpin existing conditions, materials and protocols to try and reveal, appropriate, exaggerate, reuse or transform them in some way. I also tend to start with a research-based approach to design, delving into history, science or a direction that the brief might inspire. SC: What do you think are issues that architecture is or should be trying to solve in New York City at present? TC: I think infrastructure is a major issue that needs to be addressed in New York City, especially the waste systems and also mobility and access with the subway and public transportation systems. SC: Why did you decide to headquarter your firm in NYC? TC: I was born and grew up in New York City and can’t imagine being headquartered anywhere else! SC: Where do you see the future of Agency—Agency going? TC: I’m interested in directing the practice to work on more public space design projects that can be built and reach a larger audience whether through installations or infrastructure work, as well as to continue to develop work on the environment and with artists. SC: Has anyone in particular inspired you throughout your career? TC: My family inspires me all the time. I’m also inspired by female artists like Mierle Laderman Ukeles who developed an idea of maintenance art and worked directly with city agencies like the Department of Sanitation to do civic-oriented work. SC: What is it like being a professor on Columbia University’s graduate architecture programme? TC: It’s a really exciting place to be teaching right now with an incredible faculty under Dean Amale Androas. It’s a really densely filled space kind of like a beehive packed with tons of energy and with one of the best lecture series in New York. SC: Favourite restaurant in NYC? TC: Lilia in Williamsburg, at the moment. SC: Favourite way to spend the day in NYC? TC: I’m usually running around during the week but on the weekends I like to relax when I can over bagels from Zucker’s or Black Seed and walk around galleries in Chelsea, like Sean Kelly Gallery. TC: I like to read a few books at a time. Currently I’m reading Bruno Latour’s Down to Earth: Politics in the New Climatic Regime and Zadie Smith’s NW.